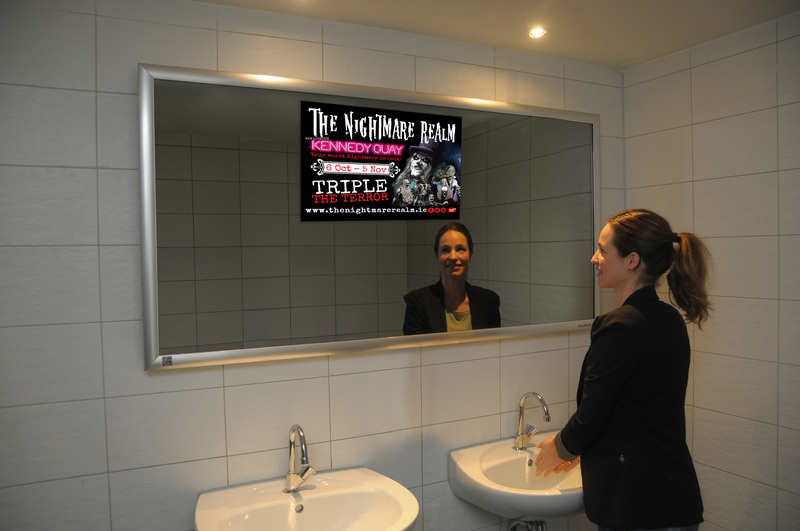 The Smart Admirror is a new and exciting way for businesses to manage their internal communications to staff and visitors alike. 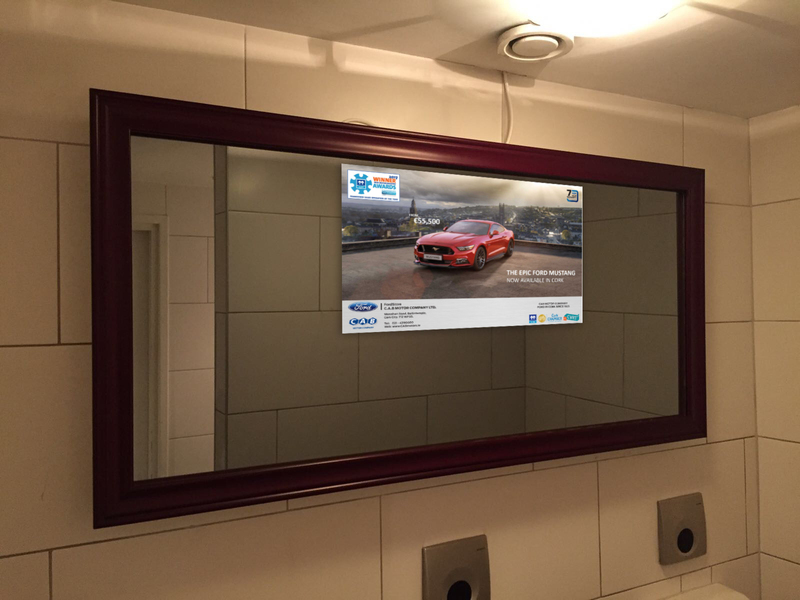 You choose whether you prefer the Admirror model – typically located in areas such as washrooms, reception areas, canteens, or if you prefer, you can use one of our hi-tech digital screens (Narrowcasting) to display impactful, full size messages to your key target audiences. The only limitation to the size of message you can display is the size of screen you choose. 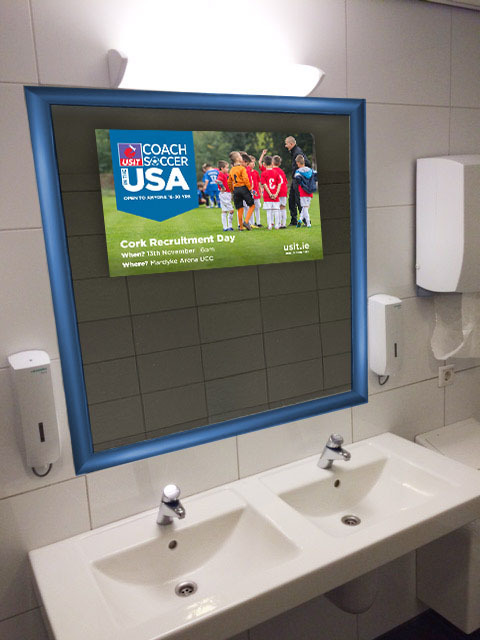 Typically, we supply screens from 48 inches through 65 inches, but screens of any size can be sourced for both internal and external use. If you are looking for real impact why not talk to us about installing a Video Wall that we can construct using any number of digital screens butted together to form truly high quality and impactful message presentations. You can, of course, choose to manage the content flow through our dedicated CMS using your own internal resources, or alternatively, Admirror can work with you to design and manage the content flow on your behalf – including real-time changes for a small additional cost. The strategic positioning of these units within your business will ensure that staff and clients see your communications on a regular basis during any given day (on average 8 to 10 times) and will be encouraged to interact in a timely manner in a way that will ultimately benefit your business.